Yesterday, St. Vincent shared an Instagram video of her warming up before her show in Asheville, NC, where she covered Pearl Jam‘s “Tremor Christ.” It’s a tender, stripped-down take on the original, which appeared on their 1994 album Vitalogy. If you may recall, this isn’t the first time the worlds of St. Vincent and Pearl Jam have collided, as both artists and Carrie Brownstein joined forces in 2013 to cover Neil Young‘s “Rockin’ In The Free World.” You can watch both of those videos below. Speaking of Carrie Brownstein, St. Vincent covered Sleater-Kinney’s “Modern Girl” last month before her show in San Francisco. She also recently released a cover of Rihanna and SZA‘s “Consideration” for Spotify Sessions. You can hear both of those below. 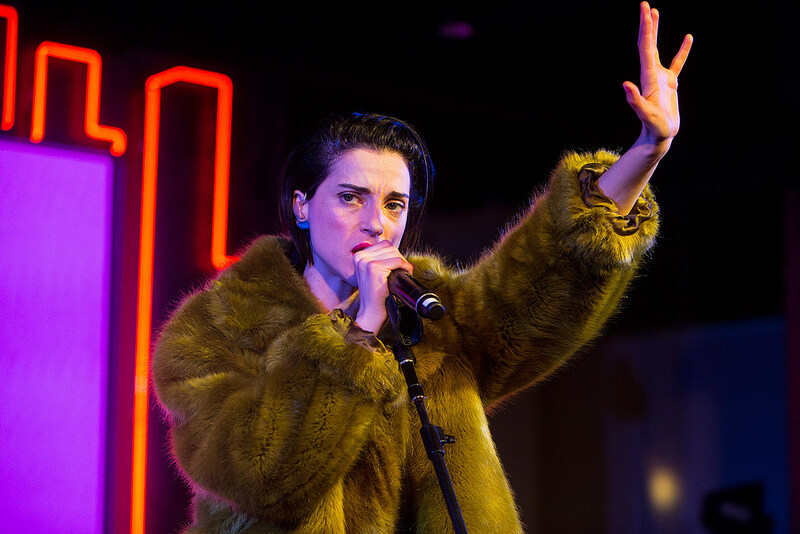 St. Vincent will be headlining several festivals later this year, including NYC’s Panorama, UK festival End of the Road, and the 2018 edition of Coachella (as well as a official Coachella sideshow in Los Angeles). “Tremor Christ” warm up in Asheville.